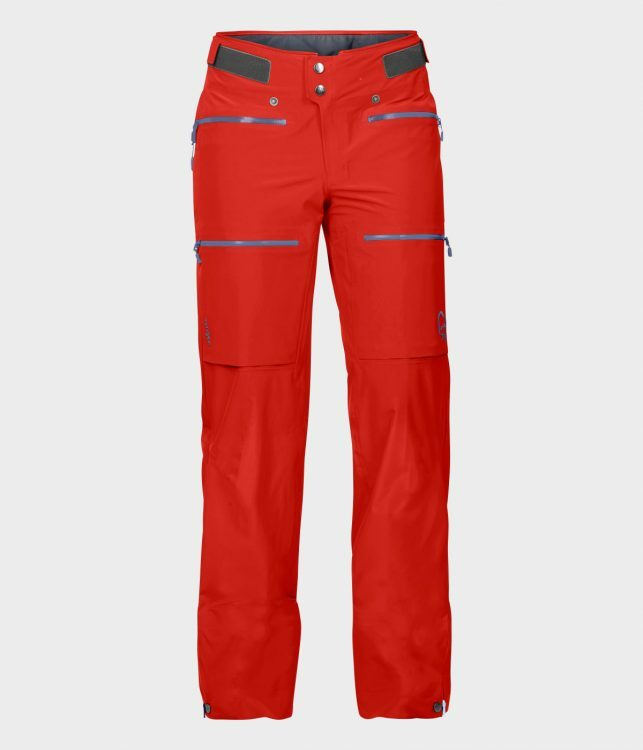 Going on a pure ski touring trip and wondering which clothing setup will work best, and what hardware to bring? Lots of products are available – the choice is difficult. 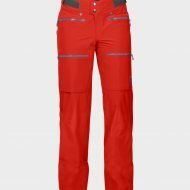 This article is based on our experience and on the equipment that works best for ski touring in Lyngen Alps (a costal climate within the Arctic Circle in northern Norway). 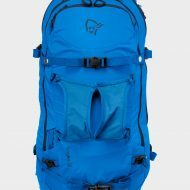 However, that said, we use more or less the same items when ski touring anywhere from Japan, to the Alps, to Svalbard. 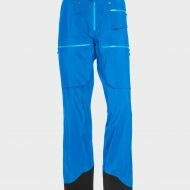 We try to save weight where possible but our focus when ski touring is on the downhill and quality of skiing, which also reflects our choice of equipment and clothing. For many years we have had the chance to test the newest fabrics and products available, and also help to develop and improved them. Typically for the very north of Norway is that the weather is very changeable. When ski touring in Lyngen we encounter many different types of weather (snow, wind, sunshine) often during one and the same day. For that reason, we are looking for one setup that works in all kinds of conditions. 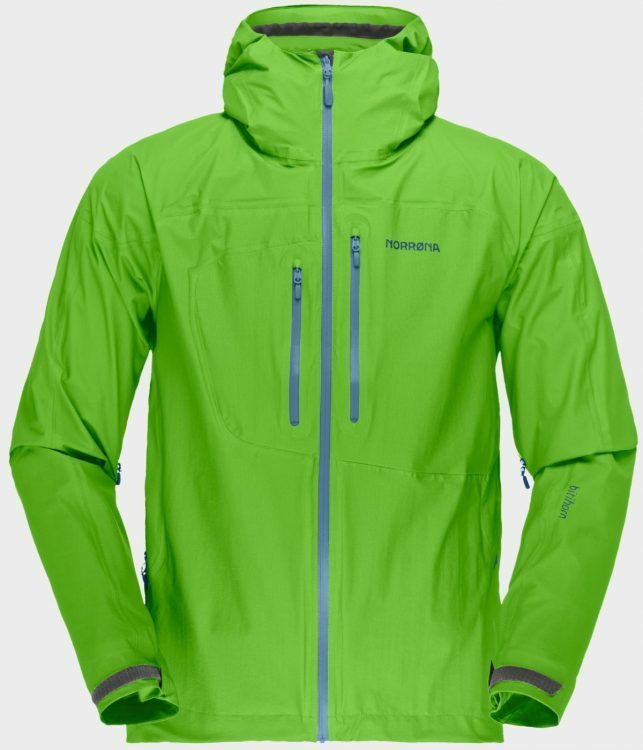 WIND & WATER PROOF OUTER LAYERS – the storm layer ! 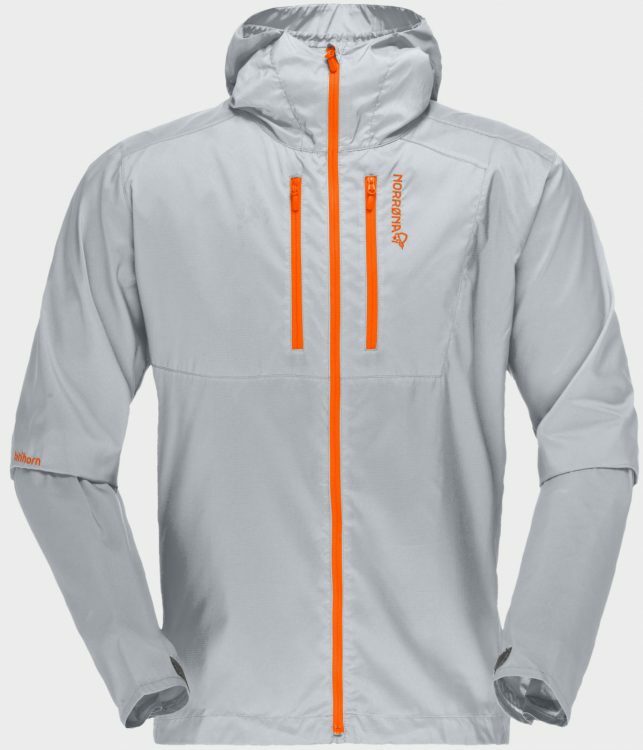 Light, breathable, good range of movement and options for venting. Leg pockets are easy to access and practical to store items when walking uphill. 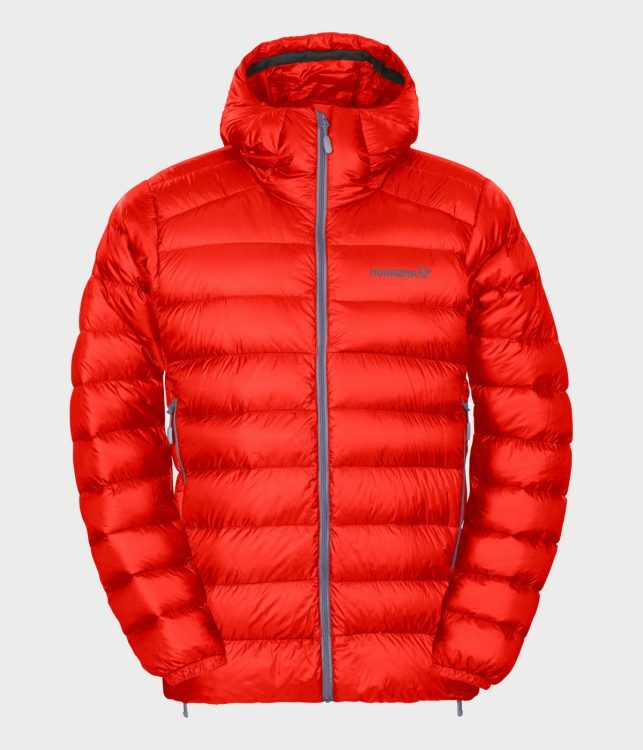 Light, breathable and good options for venting. 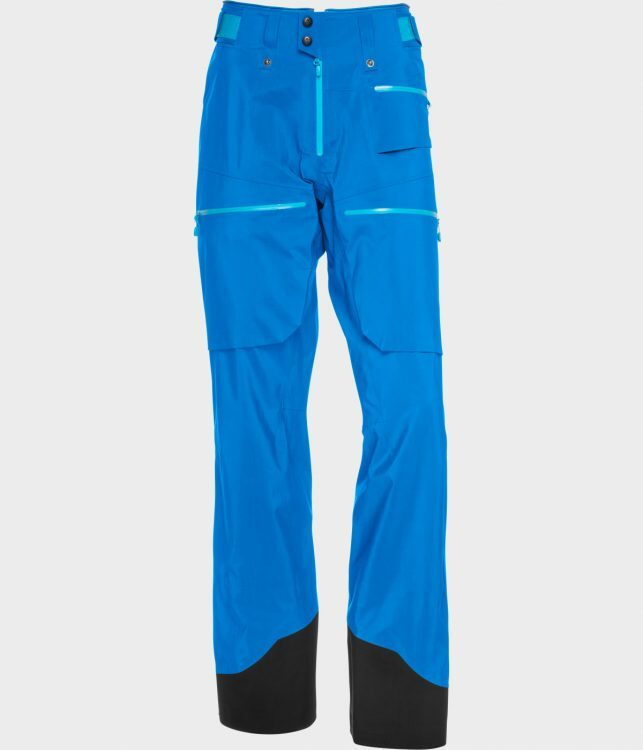 Leg pockets are easy to access and practical to store items when walking uphill. also suitable for: downhill skiing. 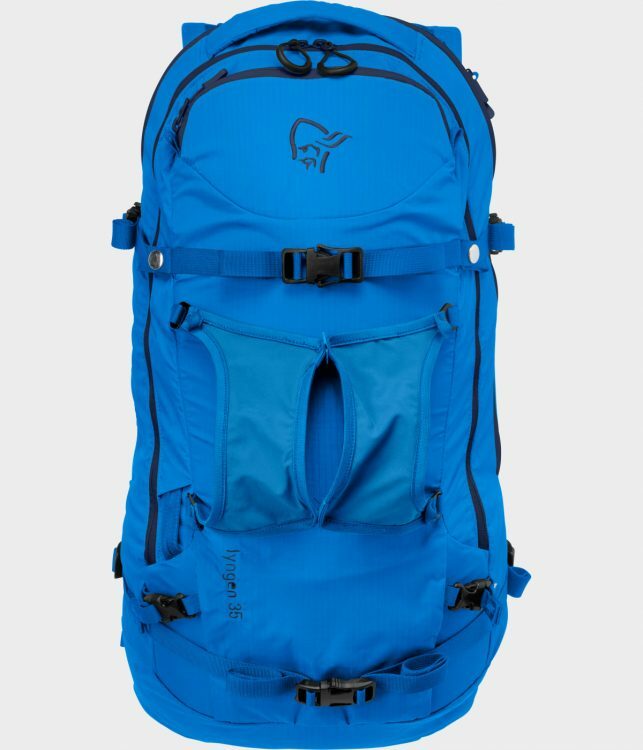 Weight is a big issue on this item as it will stay a lot of times in the back pack on the uphill. 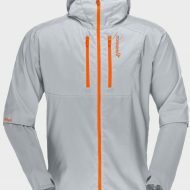 WIND PROOF and very breathable layer. 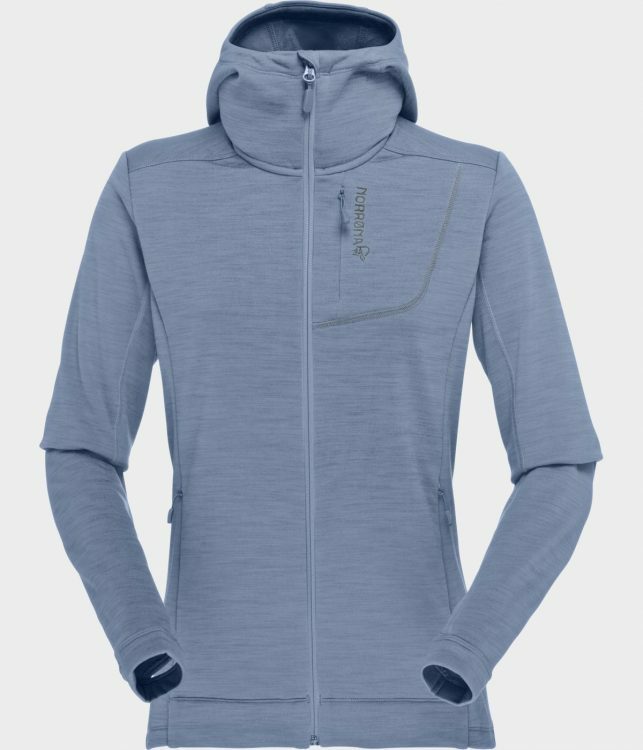 A mid layer that is much more breathable then any shell jacket. Provides also weather protection in light snow fall and dries very fast. 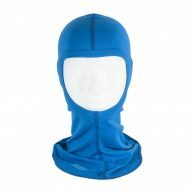 On very sunny days the loosely fitted hood provides good sun protection for the neck. 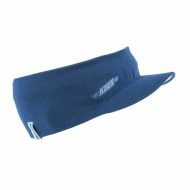 Very durable, easy access mobile phone pocket on the chest. Yet our preferred fleece. 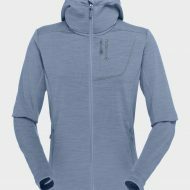 Still comfortable in light wind, general good temperature comfort for uphill, durable, practical mobile phone pocket on the chest. Thumb loop for combination with short gloves. 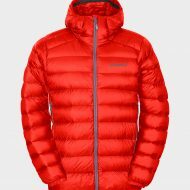 Light and packable provides insulation and is always the first item you put on once you arrive sweaty on the top of your ski tour or if you have a rest on the way up. 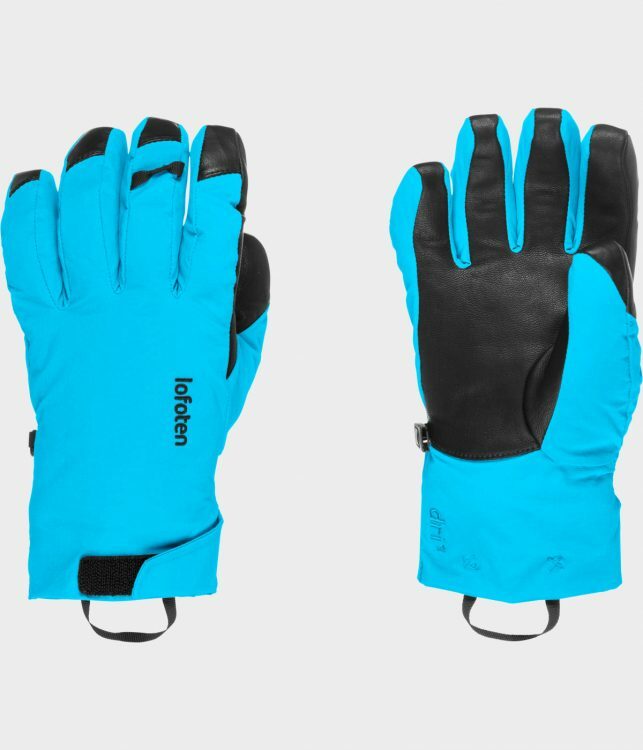 Leight weight, very durable. 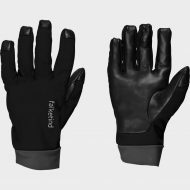 As well as their function as an uphill glove and on very warm days in spring time, they are also our second pair of emergency gloves. 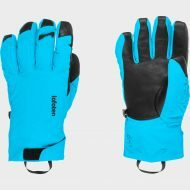 The gloves are very prcise and are easy to work with on changeovers. 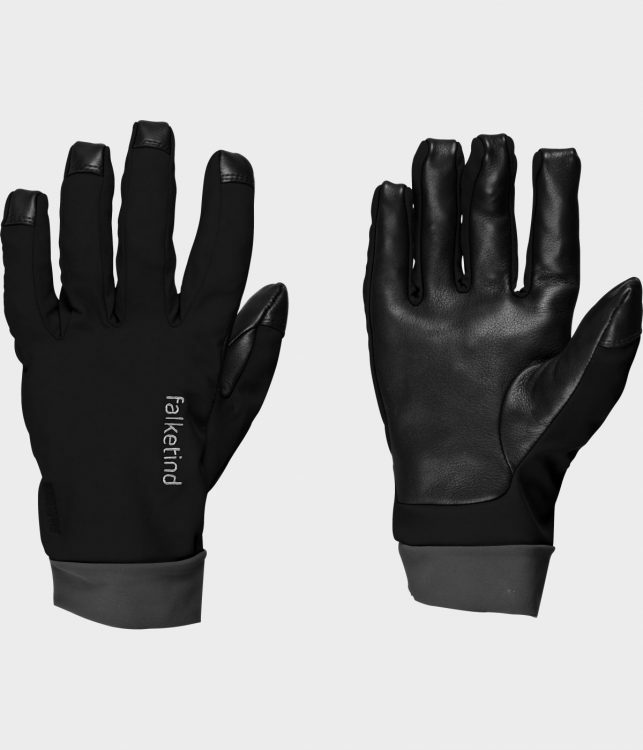 Light weight and warm, yet you will still menage to do changeovers without taking them of during stormy moment. Socks: Marino wool socks. Modern socks also keep their shape for multiple days of use.
. Preferable with a visor to make some shade on the eyes and protect them from too much sunlight on the uphill. Marino wool. 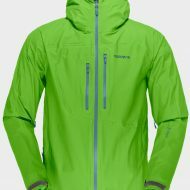 This item always stays in our ski touring pack hidden away until this one very windy stormy and cold day when it becomes our most favorite item. Comfortable to carry and to ski with. 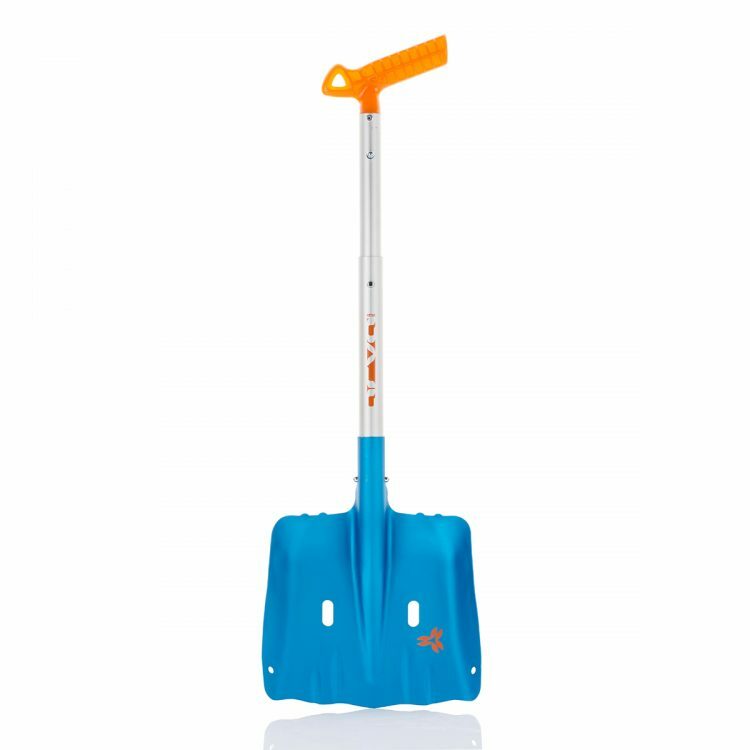 Easy to use ski fixation, separate shovel compartment are the most important features for us. For those who like to bring a helmet when ski touring there is also na easy way to fix the helmet to the outside of the back pack. Ideally A fairly light weight but downhill orientated/ ideally between 98 and 108 under foot. 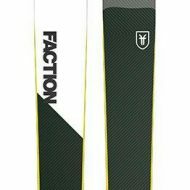 If you only have one pair of skis for off-piste skiing and ski touring this is a perfect choice. 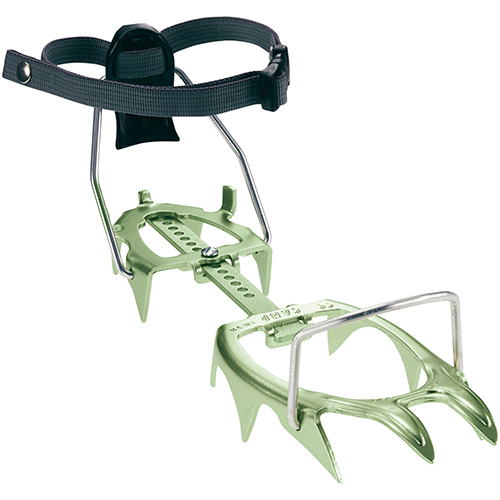 Very reliable in all temperatures and snow conditions, glide very well. But are a little hassle on changeovers as on always has to put a separation sheet between them. Glide also very well and are easy to use on changeovers. But in very wet snow conditions in spring time they do not always stay well on the skis. In very cold conditions and also after multiple change overs in wintery conditions they have worked very well for us. 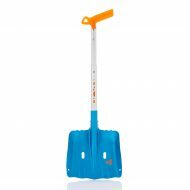 Light weight metal shovel with an extendable shovel handle. 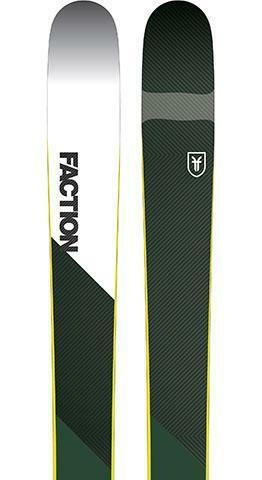 – Arva Carbon 240cm (120g) or alternatively if you prefer to save some money choose and aluminum probe. The weight difference is about 60g. Downhill orientated ski touring boots: please consult your local boot-fitter it depends a lot on the shape of your foot. Light weight crampon works well on snow and with ski boots.